The discovery or design of new materials for technological applications had been an exhaustive process involving a series of trial-and-error experiments. 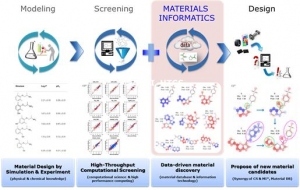 With the aid of high-performance computing in recent decades, efficient computational material design methods, such as first-principle calculation and high-throughput computational screening, have been adopted to expedite materials discovery compared with conventional trial-and-error experimentations. Besides data-driven approaches with the recent advent of machine learning have emerged as one of the most efficient means to discover functional materials. In this talk, I introduce the data-driven modeling techniques for the design of new materials with several examples that include world-wide applications as well as our ones.